Dancer, choreographer and television dance show judge Bruno Tonioli was born on this day in 1955 in Ferrara in north-east Italy. Tonioli is one of the judging panel of Strictly Come Dancing on British TV and on its US equivalent Dancing With the Stars, which requires him to divide his time between London and New York when seasons overlap. He began his showbusiness career in the 1980s as a member of the Paris-based dance company La Grande Eugène before moving into the music industry as a choreographer. Among the artists he has worked with are Tina Turner, Sting, Elton John, the Rolling Stones, Freddie Mercury, Sinitta, Boy George, Dead or Alive, and Duran Duran. 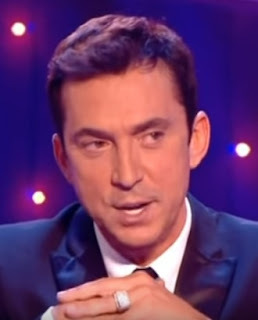 Tonioli has also worked on numerous films and television shows including Little Voice, The Gathering Storm, Dancin' thru the Dark and Enigma. He also has a number of acting credits, including the role of Peppino, manservant to Michael Gambon's Oscar Wilde in the BBC production Oscar. Tonioli appeared as himself in the movie version of the BBC comedy Absolutely Fabulous. 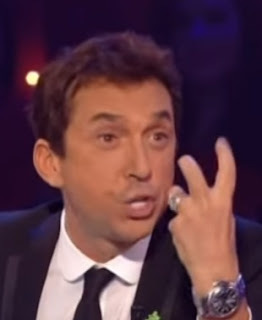 Renowned for his flamboyantly wild gestures and amusingly extravagant comments, Tonioli has been a member of the Strictly Come Dancing team since the show's launch in 2004 and is now into his 14th series alongside fellow ever-presents Len Goodman and Craig Revel-Horwood. He was hired to judge on Dancing With the Stars when that show launched in 2005. The son of a bus driver, Werther Tonioli, and a seamstress mother, Fulvia, Tonioli was 12 before the family could afford their own apartment in Ferrara. Until then they had lived with his father's parents. He knew from an early age that he was gay, although he said in a newspaper interview in 2005 that the subject of his sexuality was never discussed at home. He believes his parents, who were strict Catholics, would not have wanted to contemplate the possibility at the time, although not out of shame but for fear of how others might judge him. He said he was bullied and threatened at school but fought back by growing his hair long, smoking expensive cigarettes, wearing the latest in cool clothes and becoming friends with the best-looking girls among his peer group, after which he became popular and acceptable. Tonioli's love of the theatre began when he the film version of the musical Cabaret, starring Liza Minnelli, came to Ferrara in 1972. He saw it eight times and realised he wanted dance to be his career. Others boys of his age wanted to play football but he was much more interested in theatre and the arts. His parents were keen for him to find a steady job, perhaps in a bank. Instead, he left for Rome to enrol at ballet school, leaving Italy for Paris at the age of 18. Both his parents are now dead but he says he was reconciled with them long before they passed away. From Paris he moved to London, joining another dance company and finding work in television and the West End as a choreographer. The English capital has been his home almost ever since. Apart from the impressively well preserved Castello Estense right at the heart of the city, Ferrara - situated midway between Bologna and Venice in Emilia-Romagna - has many notable architectural gems, including many palaces from the 14th and 15th centuries. Among them is the striking Palazzo dei Diamanti, so-called because the stone blocks of its facade are cut into the shape of diamonds. 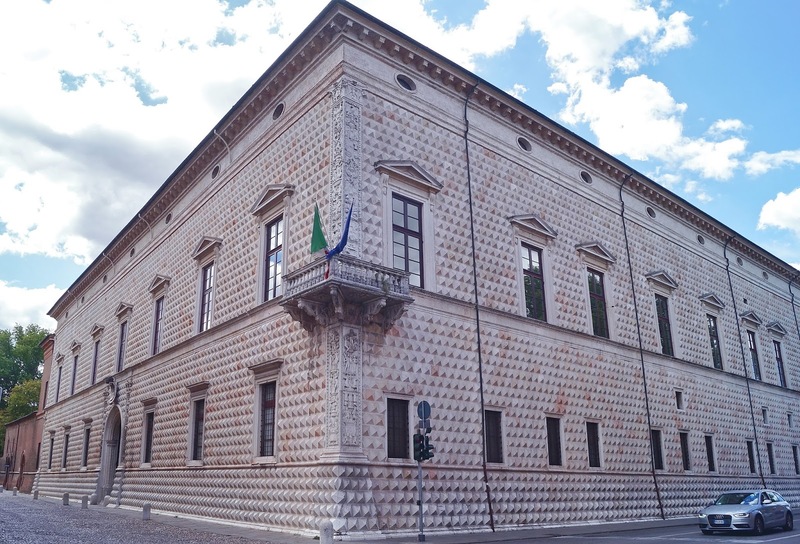 The palace holds the National Picture Gallery, which houses many works from the masters of the 16th-century School of Ferrara, including Lorenzo Costa, Dosso Dossi, Girolamo da Carpi and Benvenuto Tisi. Rome's prestigious ballet school of the Teatro dell'Opera di Roma was established in 1928 and is one of the oldest and most respected vocational schools in Italy. It can be found in Via Ozieri in a charming cottage set in a secluded and quiet street in the San Giovanni neighbourhood to the south-east of the city, near the ruins of the Felice Aqueduct. Director Luchino Visconti in 1951 chose it as the location for shooting some scenes of his film Beautiful, starring the Roman actress Anna Magnani.